Born on May 8, 1925, Roger Jerry Callahan was 88 years old. Dr. Callahan was a pioneer, an intellectual, and, above all, a humanitarian. In his long life, he found immense personal satisfaction through healing countless people who suffered: emotionally and physically. 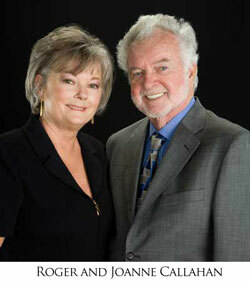 Roger retired in 2011 to spend time with his family, and Joanne Callahan continues the work of TFT. Please join us in a celebration of Roger’s life, by clicking here. In lieu of flowers, please donate to The TFT Foundation, to help complete the documentary on TFT and Roger’s work in Rwanda, as well to help The TFT Foundation to continue its work in helping treat trauma worldwide. Click here to visit Roger’s Memorial website.